Dennis is a Certified Public Accountant (CPA) and the managing director of Dennis M. Lee & Associates, in Irvine, California. 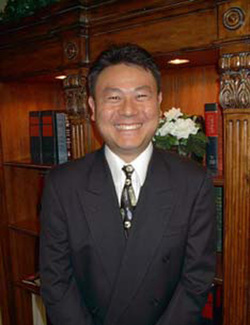 He specializes in the U.S. and international accounting and taxation areas. He has over twenty five years of experience in public accounting and has extensive experience in various types of corporate, partnership, LLC and individual accounting and taxation matters in a variety of industries including but not limited to manufacturing, retail, wholesale, distribution, professional services, construction, financial institutions, e-commerce, and technology. compliance and planning areas, and foreign corporate mergers and acquisitions. His previous experience includes McGladrey & Pullen/RSM McGladrey, Ernst & Young LLP, Deloitte & Touche LLP, in Los Angeles and PricewaterhouseCoopers in Hong Kong. Dennis devotes and provides his undivided professional and personal attention with domestic and international resources to his clients.